This past Earth Day, we celebrated our local environment by taking care of it. 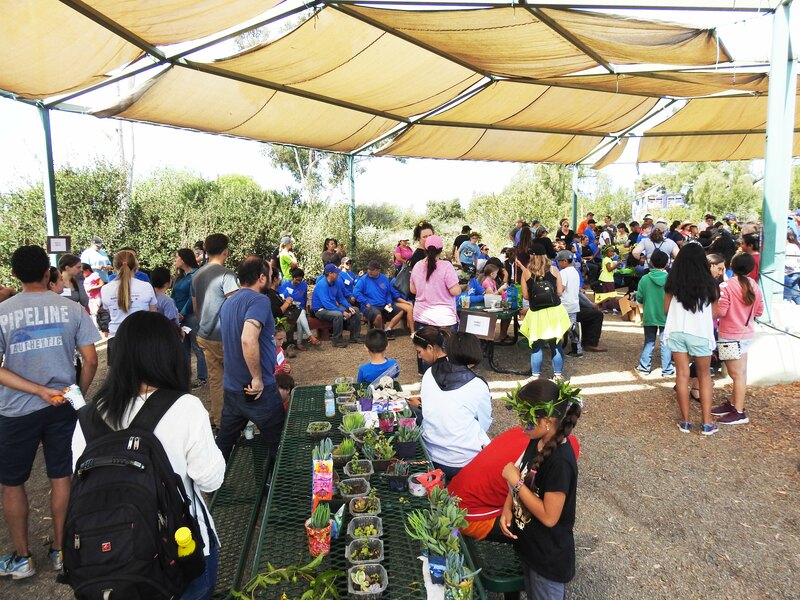 Over 200 volunteers came to the EarthLab Climate Education Center to answered the call of Earth Day, which happened to coincide with I Love a Clean San Diego’s Creek to Bay Cleanup day. 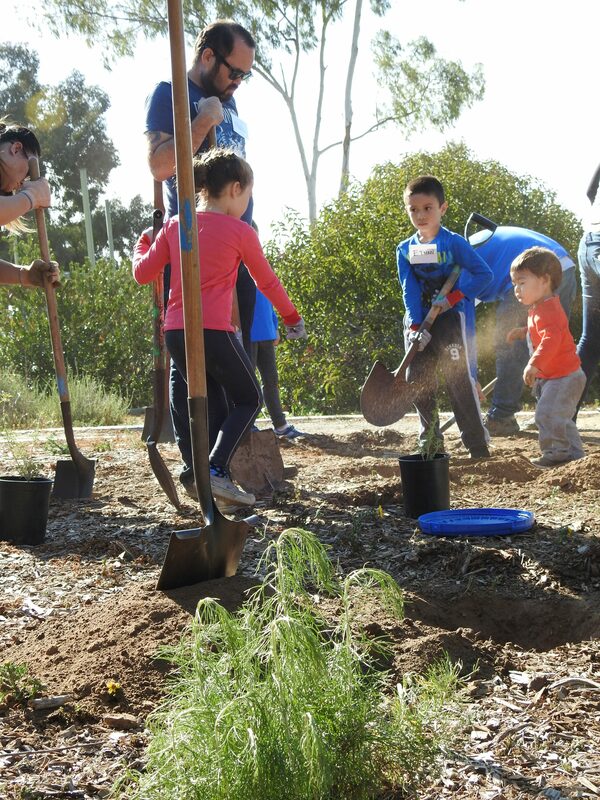 San Diego proved on this day that we care deeply about the natural beauty that glues our city together. 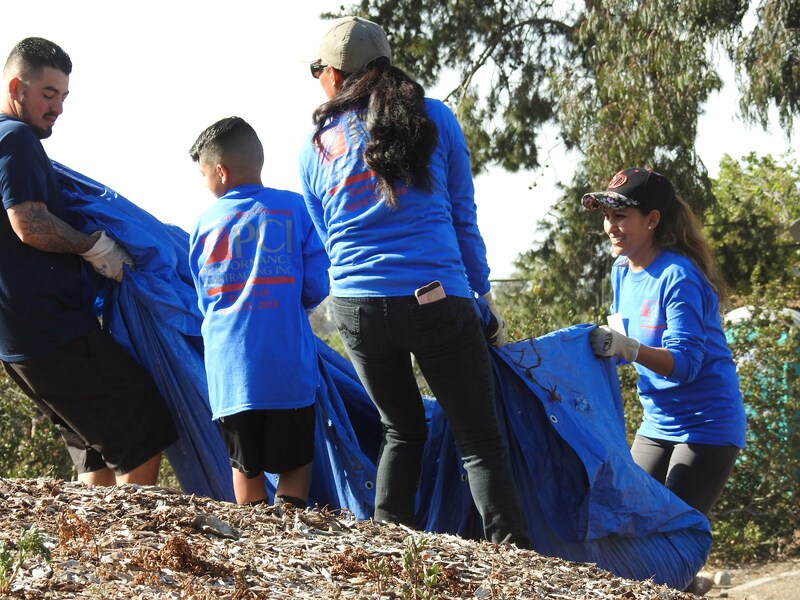 Hundreds of community heroes and NASSCO volunteers joined together to complete a host of tasks necessary to the upkeep of this beautiful outdoor space. Volunteers pulled weeds, cleaned trash out of the creek, added mulch, revegetated sensitive areas, and planted seeds that will grow to match the love of our community members. From toddlers to elders, we came together to enjoy the conservation efforts and to learn how to take care of our watershed through activities led by our university student educators from SDSU and UCSD. People of all abilities had the opportunity to contribute and take part of the events. 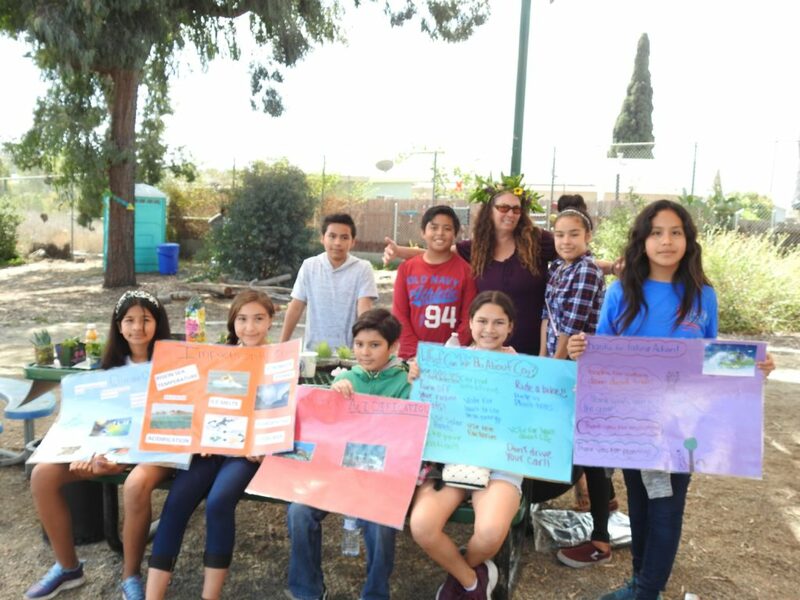 JoAnna Proctor, our Education Director, was ecstatic to see the amount of children who came from Millennial Tech Middle School’s Solar Sprint Club, Saturday School, and the EarthLab Ambassadors. Alongside them were younger children from the Earthlab Saturday Science Club. Add to this the NASSCO families and community families, and we have upwards of 60 youth taking part in earth-friendly activities in the “Kid Zone”. 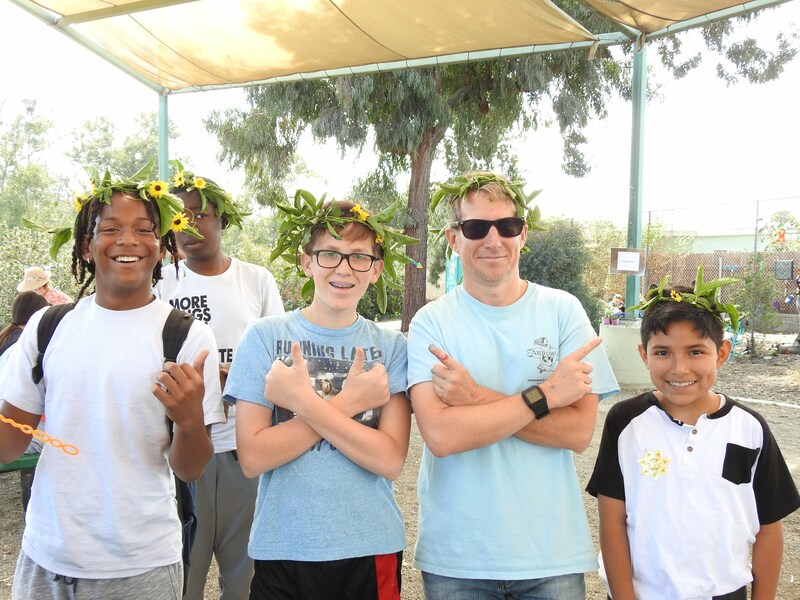 This included planting succulent gardens, playing nature made instruments, creating leaf art and flower wreaths, face painting, and a nature play area. To have whole families coming together to share the experience of caring for our planet shows that the future of climate action is bright, and that generations of climate justice leaders are being inspired by our EarthLab Climate Education Center. 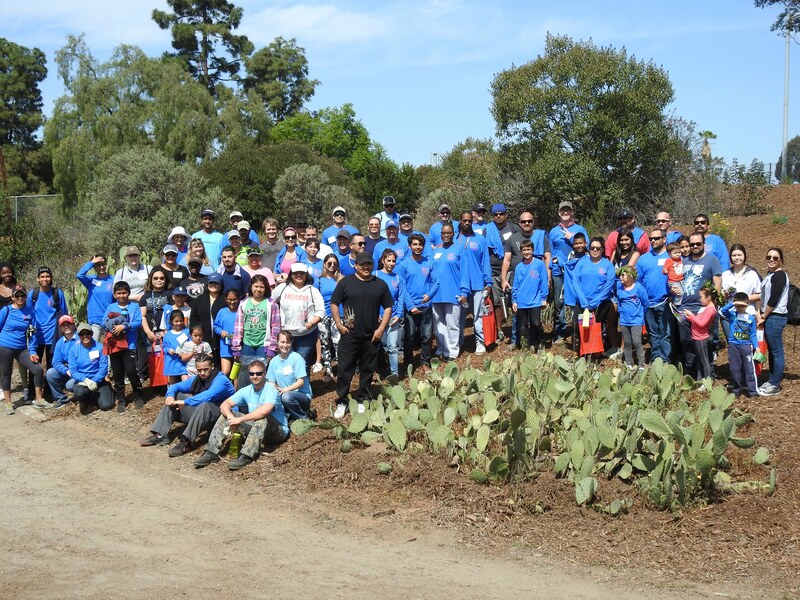 We would like to thank our wonderful volunteers, from the community and from NASSCO, their families, I Love A Clean San Diego, UCSD, SDSU, and Millennial Tech Middle for their dedication to the mission of climate action in our Chollas Creek watershed community.